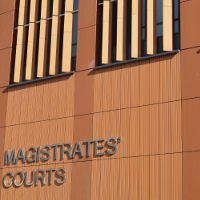 On 3 September 2018, at Snaresbrook Crown Court, Moses Oshunkoya was sentenced for fraud, having pleaded guilty on 20 August, after using a stolen identity to apply for a Security Industry Authority (SIA) licence. Oshunkoya had used a stolen identity to apply for a door supervision licence three times since 2007. He used the details of an acquaintance, a Dr Soetan, who realised his identity had been compromised in May 2015. Upon returning to the UK, the Border and Immigration officials alerted him that his identity may have been stolen. Dr Soetan contacted the SIA who investigated the matter and found that he was listed as a licence holder, despite never having applied for a licence. In August 2015, the SIA revoked the licence held by Oshunkoya. Further investigation revealed that Oshunkoya had fraudulently obtained genuine documents, such as a passport and a utility bill to apply for an SIA licence. In court, Oshunkoya was given an 18 month sentence, suspended for 2 years, for committing fraud. He was also ordered to complete 200 hours of unpaid work. “Identity theft has a significant impact on the victim and I am pleased that in this case we were able to bring the perpetrator to justice and reduce any further harm. Having obtained the identity of another person, Moses Oshunkoya sought to obtain work in the security industry, ironically a position which carries trust and responsibility. During the investigation, SIA investigators asked Dr Soetan to confirm that he recognised the person using his identity as “Moses”. SIA investigators traced his address history and found his mobile number. They checked this with the Police and discovered that Oshunkoya had reported as assault at a nightclub. Consequently, the Police were able to find out where Oshunkoya worked and who his employer was. SIA investigators enquired further contacting Oshunkoya’s former employers who provided a statement. They interviewed Oshunkoya twice but he declined to comment on both occasions. In the end he was identified by several witnesses as “Moses” and Dr Soetan. “While Mr Oshunkoya was able to fraudulently obtain a licence using a stolen identity, we robustly check all licence applications. All first time applicants must produce in person either their passport, UK driving licence, original UK birth certificate or UK biometric resident permit card for a face to face check. Our digital checks also result in some documents being subject to further inspection using a verification scanner. In addition, in order to apply for a front-line SIA licence you must obtain an approved training qualification which also requires production of identity documents in person.